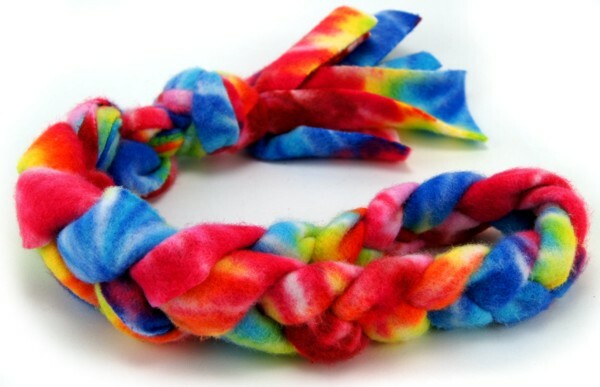 Fleecy fun for your dog! 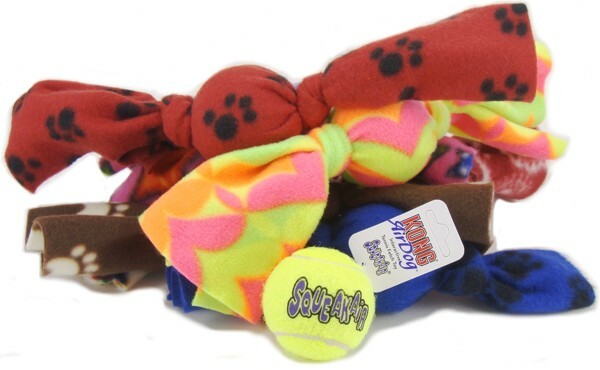 Our fleece dog toys are made from soft fabric that is gentle on your dog's mouth. They are a soft alternative to rope toys and are machine washable. Fleece toys clean your dog's teeth and gums during play. They are great toy for interactive tugging. Fleece patterns may vary from images. Choose the color range you would like. Fleece tug with a genuine Kong Air Dog Squeakair Tennis Ball inside. Tugs come in a variety of colors. Dog love these! 12" long - standard sized tennis ball inside. 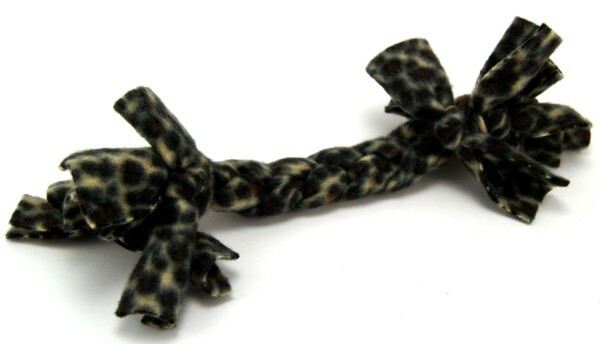 Small fleece bone dog toy. Large fleece bone dog toy. 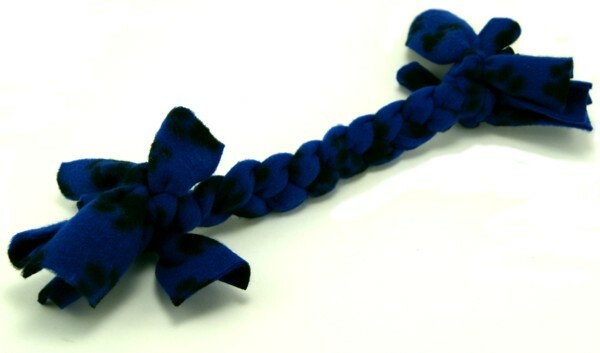 Fleece tug toy with handle.